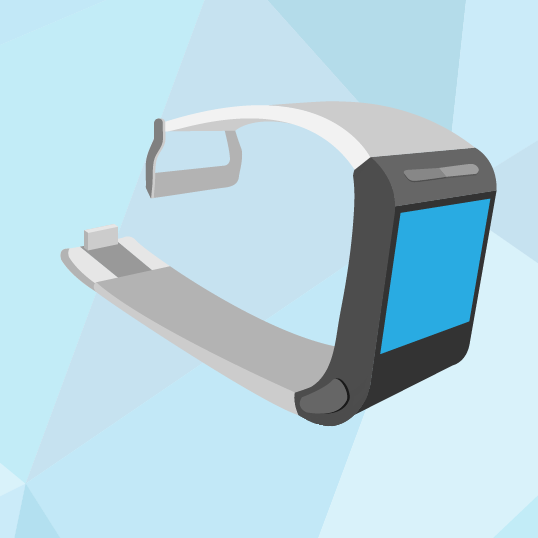 A few days ago, we published a story about Google's possibly upcoming smartwatch. Current rumors suggest that the watch may be ready in time for Google I/O, and that it might be made by LG. We also mentioned that we had heard of a Motorola prototype previously - a prototype that may have been scrapped in favor of a new design from the manufacturer who made the Nexus 4 and 5. We've decided to put a few of our cards on the table and give readers a peek at the Motorola prototype that never became a real product. According to our anonymous source, the device was allegedly going by the name Google Watch, with the official code name Gem, and fell into the Nexus category of devices. Whether a future watch will keep the codename Gem is uncertain. 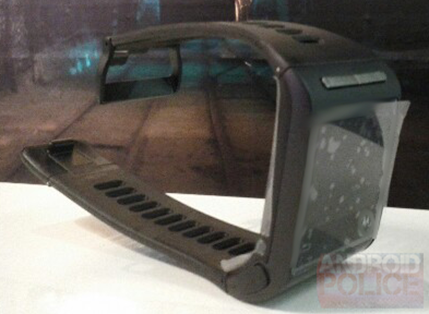 It's important to note that what we are looking at here is a prototype, not a finished product. The photos we have are of a model believed to exist in 2013. It is likely that, had this become a real product, consumers would have seen significant hardware and software differences. First, let's look at the photos. What we can see in the first photo is most of the device - the rubberized band (which looks like it has a pin for detachment), a square display with a sizeable bottom bezel, a rocker of some sort up top, and a button on the lower left face of the device. There's also a capacitive back button on the front face, opposite a Motorola logo. 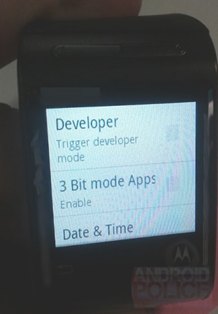 The second photo shows a brief snippet of a settings screen. 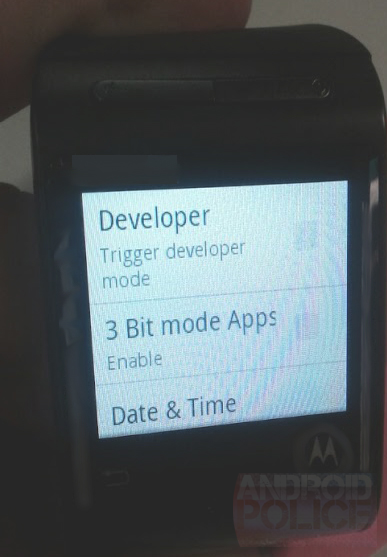 This screen is presumably not final, as Date & Time are below the trigger for Developer Mode. We're not sure what "3 Bit mode Apps" is referring to, and without seeing any other parts of the interface it's hard to draw any conclusions. One possibility is that 3 Bit mode would allow apps to display in 8 colors, and that the rest of the interface would be monochrome. Again though, without seeing more it's impossible to say. Again, without seeing the actual interface or testing out the watch for ourselves, it's hard to say how these would behave, but assuming one is a running man and the other is a microphone, it would make sense that one would put the device into fitness mode (whatever that may entail) and the other would trigger a voice Search. Google Now integration would (hopefully) be a given. Here's one more image, showing (as a commenter rightly points out below) that the piece at the end of the band which snaps into the holes in the band flips out to reveal a USB connector, used for charging the device. Motorola Mobility has confirmed via Twitter today that the manufacturer is working on a watch that will be available "this year." Whether Motorola is continuing to develop this prototype or working on a completely new concept after leaving Google we can't be certain. But the fact that Motorola is evidently working on its own watch to debut this year may just lend some credibility to rumors that Google is now working with LG on its own watch effort.